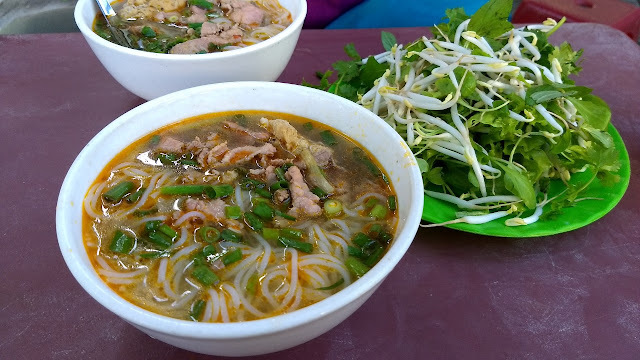 Even though you see Bún Bò Huế (Hue-style beef noodle soup) places all over Vietnam, we made a point to wait to have it until we were actually in Hue. 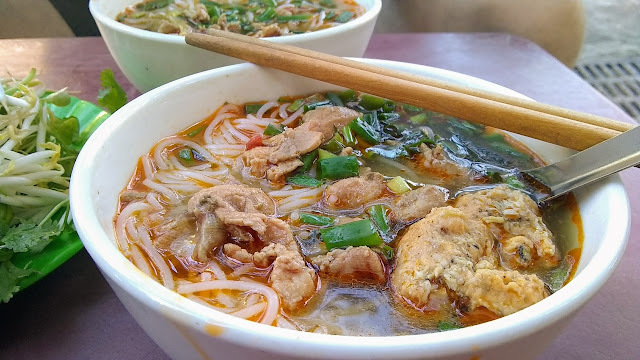 I found myself almost regretting this, as it proved difficult to pick a place in Hue to have it. Places were closed, too far away, derided as gone touristy and expensive, etc. I was talking to one of our hotel's friendly receptionists about this, and she told me there was a lady who sets up shop right on the corner every morning and that was where the locals ate. That was good enough for us. 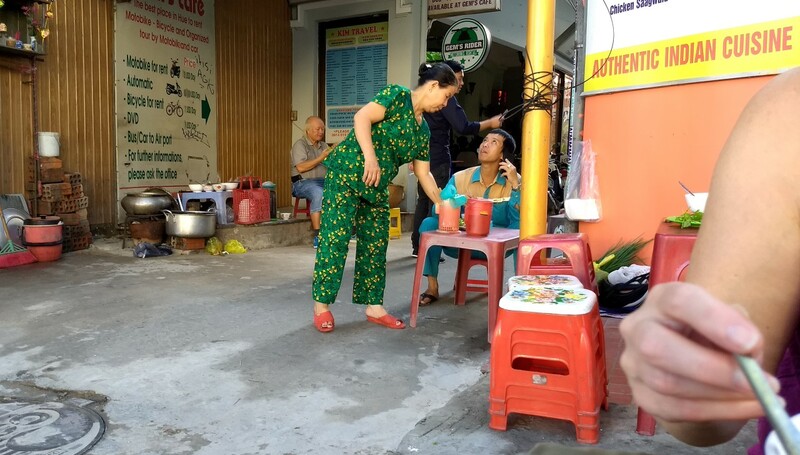 Since we aren't the morning-est of people, we hadn't seen the lady's setup on our first day in Hue - she had already packed up and gone before we headed out. Making a point to get out there before 8:00 the next morning, there she was. Unlike phở bò, the noodles are bún (rice vermicelli). The broth was pulled from a stewing cauldron of meat bits - our bowls had some beef meatballs in them, along with some fresh beef slices that were added at serving. I've read that cubes of blood are typical, but there were none is this version. Savory, lemon-grassy and moderately spicy. Delicious. 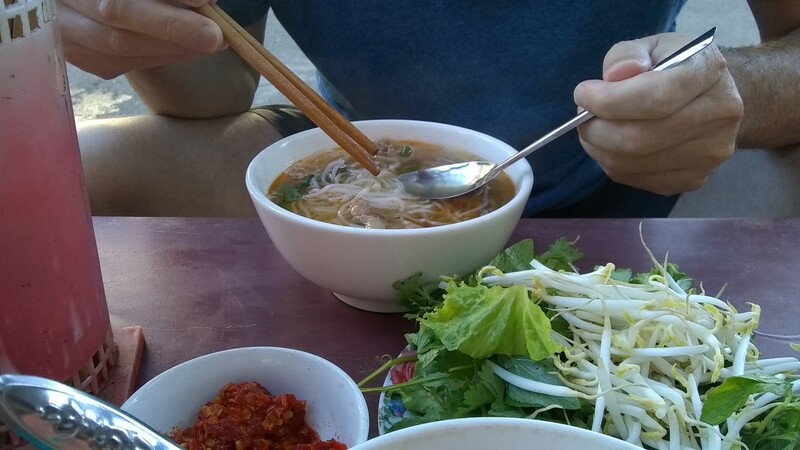 We had it for breakfast on both of our remaining mornings in Hue.